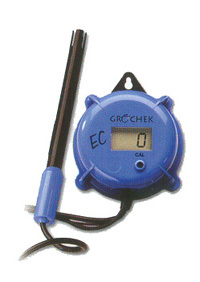 Mountable waterproof conductivity monitor for hydroponics. Reads high range to 9.99 milliS/cm. Comes with fully submersible probe and 12V power supply. Large LCD display.